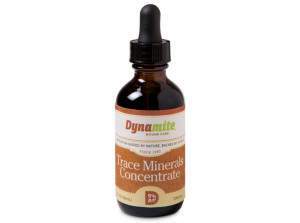 Trace Mineral Concentrate is a product from Dynamite Marketing it has unique healing agents with a full spectrum of trace minerals. It is used topically to help stop bleeding. You can also take it internally to support the immune system. A friend of a friends horse cut it’s back leg and blood was squirting out with every beat of the heart. Once I applied the trace minerals it stopped the bleeding. I’ve also used it when I’m preparing a stallion to be gelded. What I do is place it on their feed three days before and then for a week after the procedure. Since I’ve started doing this I’ve found there to be very little if any bleeding plus it helps to keep the swelling down. The added benefit is that it helps with any infection because it supports the immune system. For my family we’ve used it for sore throats, cuts and if we feel like were coming down with something I start taking it internally. I’ve also used it before any dental procedures. I love this product and won’t be without it and I highly recommend you get some and try it yourself…..it works! I’m a distributor with Dynamite Marketing, but I would not recommend this product if I did not get great results which I have and I wanted to share it with you. Want to order your bottle click here. **I’ve not been paid nor have I received this product in exchange for this review. Well, my beloved boy is going to be 25 on March 30th. How time flies! Thank goodness, he’s held up well, but I’m doing all I can to keep him happy and comfortable. Lately, I’ve noticed that there is a lot of recommendation to feed flax seed to older horses, and you can buy stabilized ground flax, but recently I got a great deal on a huge bag of whole flax, so now I’m wondering a couple of things: Of the folks here who feed flax to their horses, in what form do you feed it, and why? How much do you give, and how many times per day? Do any of you buy regular whole flax seed and grind it yourself? How long do you keep the ground stuff, do you have to do it before every feeding, or can you do a bunch once a week? I paid $5 for that monstrous bag , couldn’t pass it up the deal, but now am not sure exactly what to do with it… Gotta do something soon, though, because my husband has already gotten into the bag like a big rat, and started sprinkling it on his breakfast cereal! Any suggestions?